The Extended Square 'U' Rack provides economical, secure bike parking ideal for apartments, retail outlets, office malls or other settings where appearance is important but utility prevails. 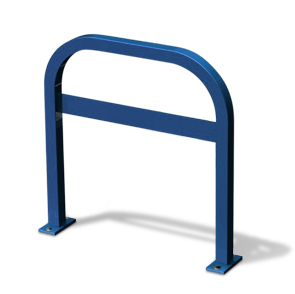 These commercial bike racks allow for the use	of "U"-type locks and provide dual-point contact when bikes are resting against them for extra security. Constructed with 2" square steel tubing at 34" high, these bike racks park up to two bikes and ensure proper parallel parking. 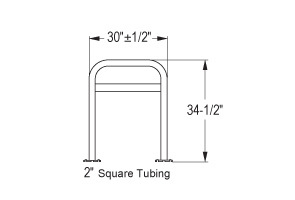 To find bike racks that best suit your needs, select from galvanized, powder-coated or stainless steel. Drop In Anchors available for concrete installation. 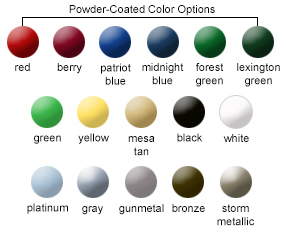 Select Powder-Coated Stainless Steel for the unequaled corrosion resisting properties of stainless steel combined with protective high gloss powder-coated outer layer resulting in the maximum in corrosion protection. The 2 piece Grout Cover is the ideal aesthetic solution to conceal in-ground mount insertion point. Galvanized finish racks are paired with Spun Aluminum covers. Powder-Coated finish racks are paired with color matched Powder-Coated Cast Aluminum covers.